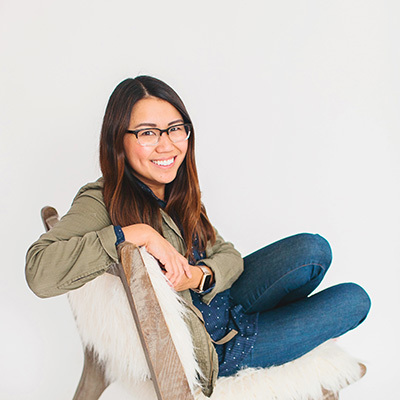 A digital marketer, brand photographer, front-end web developer, and owner of Tiffany Tcheng Marketing & Media. My passion is helping awesome people be awesome online, in a strategic way. Born and raised in Phoenix, I attended Arizona State University and graduated from the Walter Cronkite School of Journalism & Mass Communication with a degree in journalism, public relations and digital media. It was an exciting time as traditional print media began transitioning to digital platforms and storytelling took on a whole new meaning. In 2008, I began my career working in public relations for a large healthcare system telling stories of people and community. In 2010, I married my husband (a medical student at the time) and in 2011 we packed up our lives and moved across the country to Buffalo, New York where we spent the next four years in residency. While in Buffalo, I worked at Cypress North as a digital marketer and discovered that I really loved working on the web. The startup-like environment plus working with some very talented developers and marketers gave me the chance to wear many hats in order to help clients (big and small) achieve their business goals. When I’m not staring at a computer screen all day or chasing around a toddler, you can find me watching hockey, rock climbing, looking for sea salt iced coffee (with boba! ), or renovating our home. I also spend a week each summer volunteering for the FLG Code Camp classes where we teach kids ages 11-16 basic HTML and CSS skills to help them build their very first website. It’s a lot of fun! Ready to start the conversation about your digital project? Fill out the questionnaire below. The more information that you can provide about who you are, what you do, and what your goals are in relation to this project, the better! I will respond to your inquiry within 48 hours.